You got it! 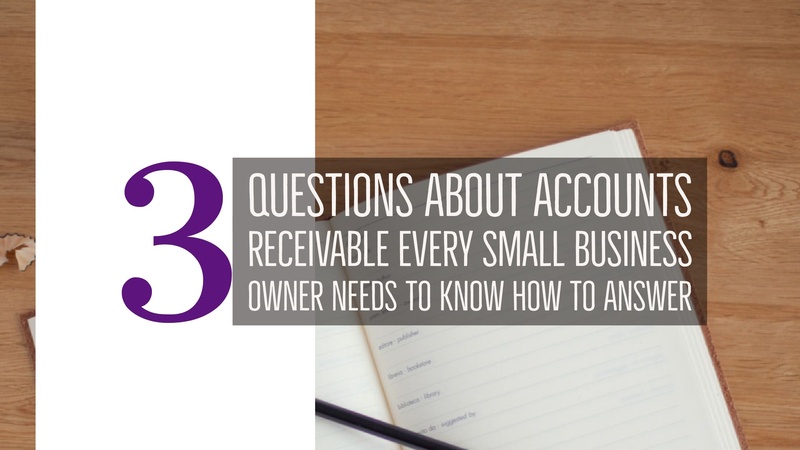 The Accounts Receivable Management role is yours (or, it’s been yours). Time to get the lay of the land and make improvements where you can. What’s the best way to understand where you are and where you want to go? We are going to help by providing a step by step guide to set you up for success. Innovation is replacing legacy systems and processes. Phone calls are consistent with legacy processes. People don't answer their phones & it costs a lot. Good thing this process is easy to modernize. When is the last time your legacy A/R management process has been updated? 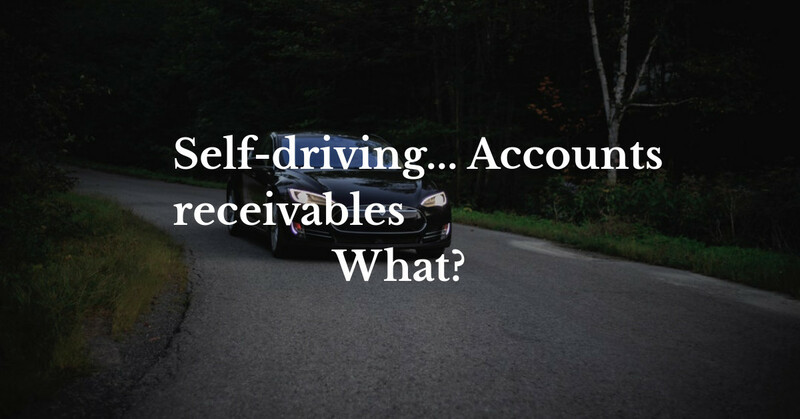 Self-driving... Accounts receivable . What? We've all heard about self-driving cars and how AI is powering this innovation. 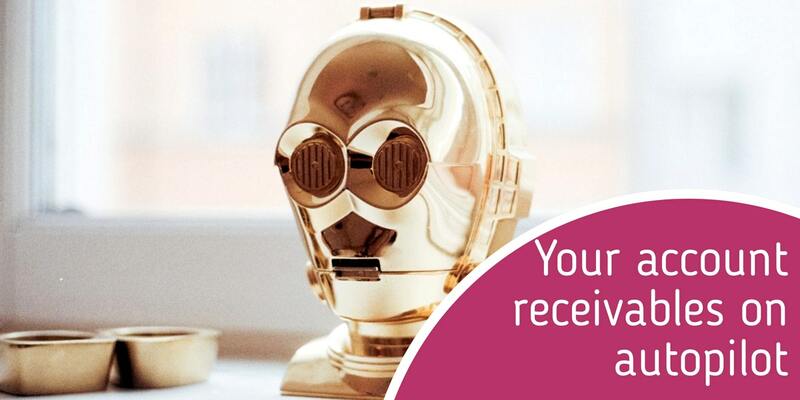 How about using similar innovation to power Finance Department's Accounts Receivable? We don't have to worry about accidentally hitting an elderly lady in a crosswalk or running over a puppy. There's less risk in taking the hands off the "wheel." Our self-driving AI can handle a wide variety of Accounts Receivable situations ensuring payments are made, and customers are treated with care in the most efficient and effective manner. A high amount of resources are dedicated to customer support in A/R. We put it all on autopilot. 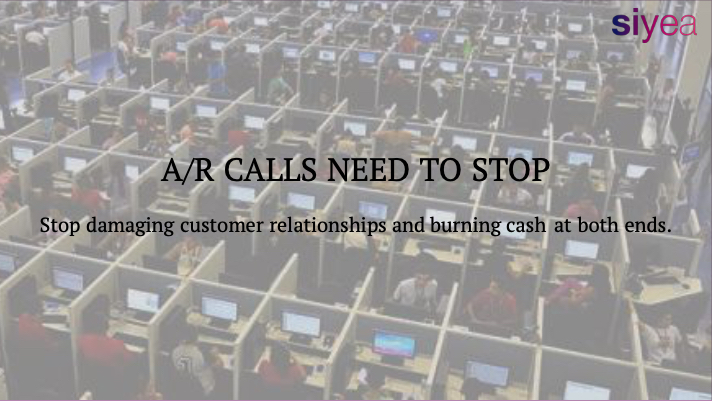 What would you do with all of the saved resources dedicated to creating & responding to customer calls and emails? 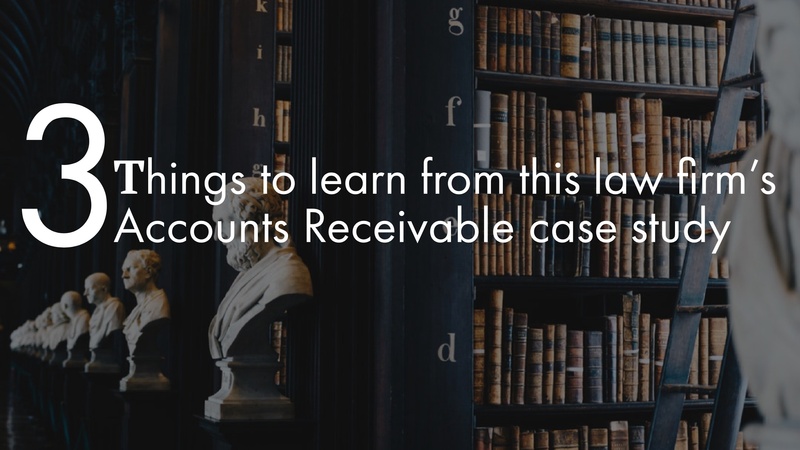 Topics: accounts receivable, Account receivable Tips, AI, "chatbot"
Accounts Receivable should be easy to manage, track, and collect. 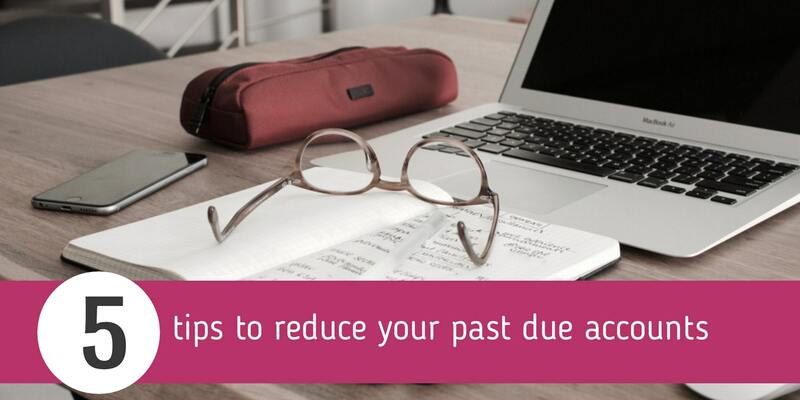 For clients, the bill should be promptly sent, clear, easy to pay, and easy to resolve questions/problems. Achieving this ideal A/R environment is challenging and evident by messy, fragmented processes that have high costs of companies spending millions and still writing off millions (collectively, billions). 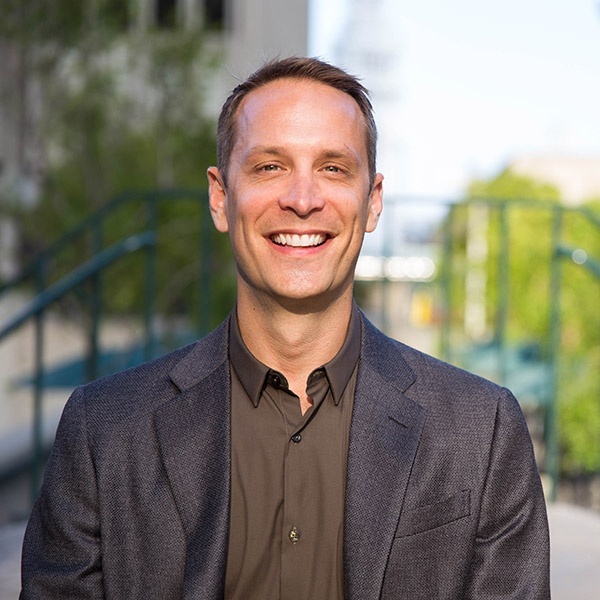 In the legal industry, margins are decreasing each year with continuous rising operational costs, and increased cost competition from on-demand legal services provided by startups with new business models. Billing and collections are the 3rd most significant challenges for law firms according to Law firm Suites. Running a business is daunting given the variety of critical responsibilities. The stress level is higher when your an owner. Company growth is good, but it also adds complexity and a new set of problems. At some point, an accountant is retained or hired, and everything coming out of her/his mouth is new and confusing. The trend is firmly established to automate as many business processes as possible. 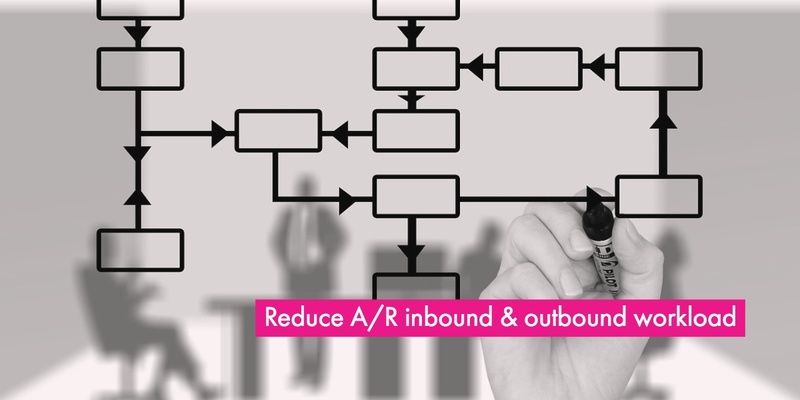 Many large organizations use a CRM tool to create semi-automated sales processes. On the finance side, many use sophisticated ERP solutions for parallel reasons. There’s a new trend post-automation, autopilot. We have cars that can drive themselves. 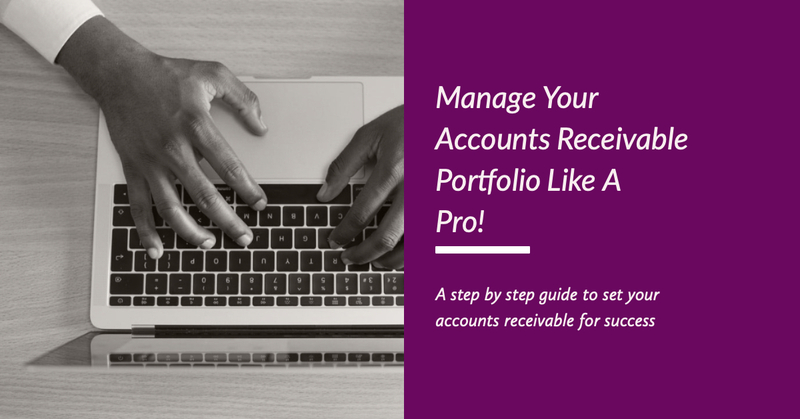 Now, we’ve built an accounts receivable system that can collect on it’s own. Growing a business is not only about sales and year-over-year growth. It’s also about growing cash and being cash flow positive. It’s possible to have $50,000,000 of sales in a year with barely enough cash to pay the bills let alone cash for important projects such as strategic hires, new equipment, or system upgrades. A common rule of thumb for continuous business success is continuous innovation. The first thing that usually pops into minds is product and/or service innovation; however, innovation benefiting companies comes in many forms. Another key way to innovate, dramatically impacting revenue and the ability to grow, is system and process updates. We'll help turn your accounts receivable department into a smart & effective revenue generating monster.